1. When buying kitchen fixtures, be it appliances or cookware—DO feel the weight of it. "One good measure of quality is the fixture's weight. The heavier, the better. The lower-priced ones are light. They won't last long and the metal will easily corrode. The price might be enticing, but these lower-priced faucets are usually made of plastic parts, and they definitely will not last long." 2. DO try quartz and solid surface for your kitchen countertop. "Granite is still widely used, but the trends are now quartz and solid surface. Granite is made out of natural stone, so it is a porous material. Quartz, on the other hand, is man-made. Solid surface is ideal for clean kitchens where food preparation doesn't involve heavy cooking. Another advantage of quartz and solid surfaces over granite is their consistency. What you see on a small swatch is what you'll get on the entire area." 3. DON'T use laminates for your kitchen countertop. "When laminates are exposed to humidity and water, they warp. Solid wood and concrete finishes are not ideal as well, but they can be seated with polyurethane to protect the countertop from water and other liquids. Meanwhile, solid wood requires high maintenance." 4. DO use both daylight and warm lighting in the kitchen. "A well-lit area is a safety essential in a kitchen, so that's where white light or daylight comes in. Warm lighting can be used to create ambiance. It can be used for under-cabinet lighting, recessed lighting, or pendant lights in a nook. 5. DO install backsplash tiles to protect paint or wallpaper from oil splatters and other mess. "Material can be ceramic, metal, glass or stone. 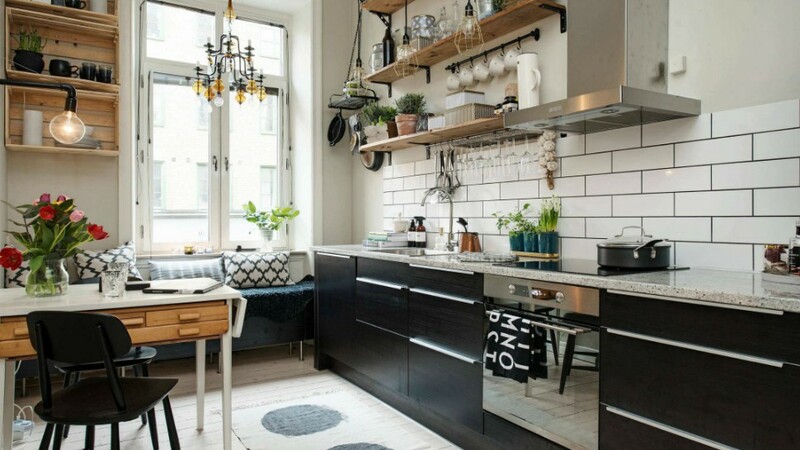 The design of the backsplash depends on the kitchen's style. Mosaic tiles can be used when you want an intricate pattern or design, or if you want to combine colors for your kitchen backsplash. This snippet originally appeared in the RL Notebook of the November 2015 issue of Real Living Magazine. Main photo is by u-om.com.